LONDON (Reuters) -- The scandal over Volkswagen's cheating in U.S. car-emissions tests further dims the outlook for diesel, which was once seen as the fuel of the future. The crisis at VW has turned the spotlight on concerns that have gathered momentum in recent years -- particularly in Europe where diesel is the more common car fuel -- about air pollutants it produces and its credibility as a cleaner alternative to gasoline that cloud prospects for diesel carmakers. "The focus was on low carbon emissions," said Chris Main, a commodities analyst with Citi in London. "One thing that wasn't seen was that you'd get other pollutants -- such as nitrogen. 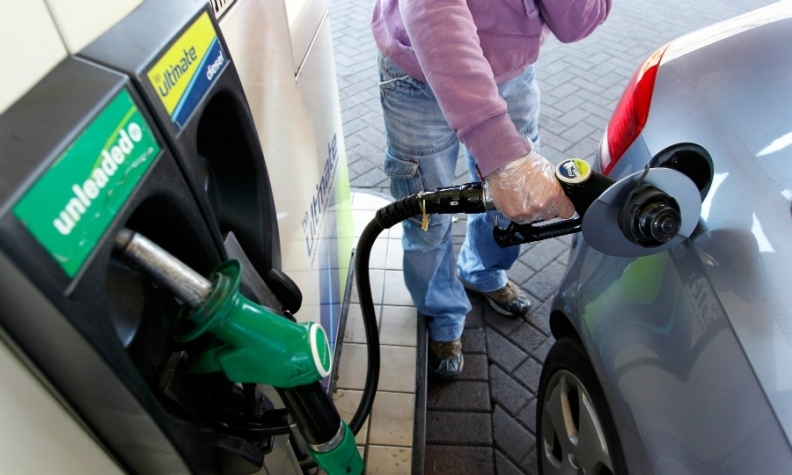 People are starting to become more wary of diesel." Europe's car fleet shifted from gasoline to diesel engines over the last two decades as governments favored diesel's lower emissions of harmful carbon dioxide gases and its high efficiency compared with gasoline. By 2014, diesel cars made up more than half of passenger fleet sales in Europe. But research suggesting a link between pollution from diesel cars and respiratory problems has raised questions over how clean they are and concerns have grown in particular over diesel's higher sulfur emissions. Diesel-powered cars are more expensive to produce than those powered by gasoline, and, with profit margins now fragile, the incentives and savings make a big difference to the producers' cash flow. In a sign of what might lie ahead in Europe, the European Parliament's Environment Committee voted on Wednesday to speed up rules to tighten compliance with pollution limits on cars. Some in the industry say tougher emissions rules could add up to 600 euros ($670) to the costs of a vehicle. Any decline in sales of diesel cars could also have a big impact on producers of catalytic converter emissions control devices as they are heavily dependent on production for diesel cars. The percentage of sales in the U.S. has remained in the single digits and Japan, a big auto market, began phasing out diesel cars in the 1990s. Refiners as well as many analysts have been caught off guard over the past year by the modest growth in diesel consumption compared with an insatiable thirst for gasoline from China to the U.S., where the halving of oil prices since last June triggered a rapid growth in oil demand. "It was a natural resort from the diesel shortage that we had seen in the past in the developing worlds. We did not realize that the growth pattern would be changing so much in China with less focus on industry and more focus on middle-class growth which is focused on gasoline vehicles," Olivier Abadie, Senior Oil Market Analyst for Refining at the International Energy Agency, told Reuters.